Direct or indirect exposure to 220 volts or more are responsible for 70% of the electrocution deaths with the primary source of electrocution being electric parts such as power lines, transformers and converters. Almost half of construction workers who died as a result of electrocution were working for a small business employing 1 to 10 people. A majority of them are electrical contractors. 105 electricians and 32 power line installers died from electrocution between 2011 and 2015. While electricians recorded a rate of 4 deaths per 100,000 workers power line installers had a rate of 29.7 deaths per 100,000 workers during the same period. Power line installers are the most at risk of dying from electrocution. 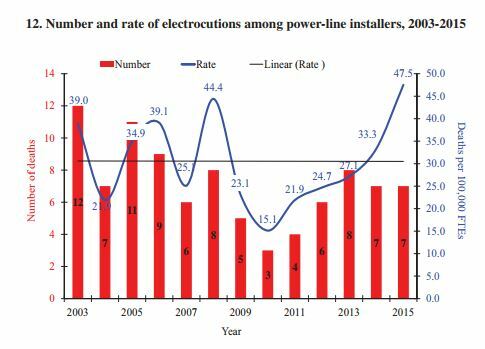 While looking at the yearly electrocution rate for power-line installers a dramatic upward trend was recorded over the last few years with a rate of 47.5 electrocution deaths for 100,000 workers, the highest death rate ever recorded since 2008 when it reached a pic of 44.4. The main source of deaths for power-line worker is a direct or indirect contact with the line. It can can occurred through either a contact with the live wire, a contact with voltage while working on de-energized power lines, a contact with underground electric cable or when a ladder touches the power line. 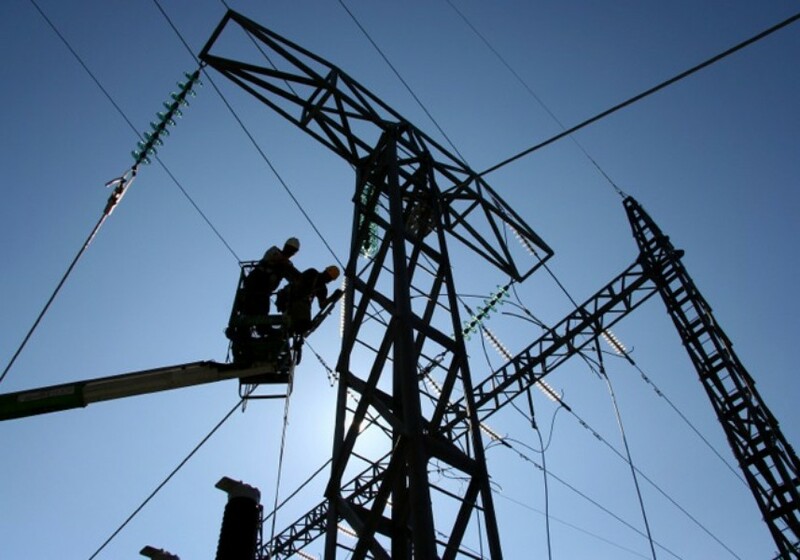 Different safety measures such as the use of insulated blankets, cover-up equipment live-line tools and insulating line hose can be used by workers to avoid a contact with the power-line. Using planning tools such as Building Information Modeling can also be useful. Make sure that workers wear Personal Fall arrest System to prevent falls in case of shocks. While working on de-energized power-lines, various verification and tests must be effectuated before to start working. Additionally workers should use protective grounds and lock out tag out devices. Underground cables can be located with geospatial augmented reality systems and only non conductive ladder should be used while working near power-lines.